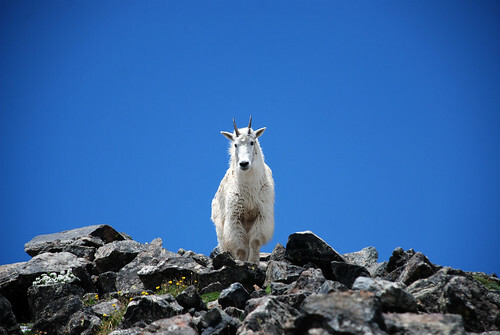 Mountain goat on Mt. Quandary. He tried to get kind of close to us on our descent down the mountain — we think it was because of the pups and unfortunately, some people do feed them. In either case, he quickly lost interest and we continued on our way. It looks like he was close! How did the dogs react?